As we know, the aim of the coverage is to reproduce what we see during a given event, yet music of ToS is extremely difficult to describe. You have to feel it, see it and taste it to appreciate. My words can only sketch a general view of what I have seen and felt. The campaign starts again - European Trilogy 3CD box in War Office Propaganda! 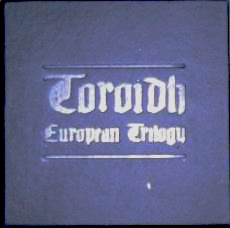 Reworked and remastered legendary Toroidh records. in new versions, made especially only for this release. 3 x CD packed in unprecedented excellent case. No need to say more. The debut of [haven] - "The Last Breath of Lonely Buildings" released by WOP in 2005 was critically acclaimed, and the edition was sold out immediately. 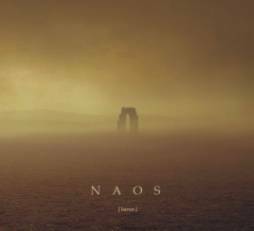 And now it's time for second opus of this very interesting act [haven] - "Naos" is more mature than debut, musical travel between Europe and Asia, oriental atmosphere and raw dark ambient both create visions of rich history of Middle East. CD released in WOP standard - beautiful digipack designed by Michal Karcz. 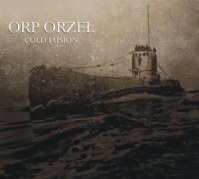 Cold Fusion "ORP Orzel" CD out now! 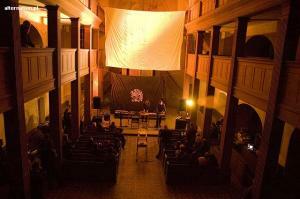 A long time ago announced, moving musical vision of tragic and romantic history of brave crew of polish submarine. Some fragments of this story was published on Scontrum act III ( WOP 04 - sold out ). Now there is the time to listen whole 45 minutes of this amazing sounds. Music from "ORP Orzel" has been used as a soundtrack to the documentary movie "Legend of the Orzel" produced by Nederlands Film Instituut from Holland. There are four TV stations at the moment that will be broadcast the film in several countries, like ARTE, TV Estonia, TV Poland and Italy. CD released in digipack designed by Michal Karcz. Limited version of 200 copies with additional 20 min. screenprinted CD-R packed in special sleeve with original ORP Orzel sailor's hat rim!